The Korean giant appears to have plans for some spin-offs from its flagship smartphone. Last year, Samsung focused on developing multiple Galaxy S4 spin-offs, and this resulted in the release of a handful of devices wearing the flagship’s moniker. This includes the Galaxy S4 Mini, the S4 Zoom, and of course, the dust and waterproof SGS4 Active. The question on the mind of every Samsung enthusiast is whether or not the Korean tech giant will adopt the same strategy this year as well, with the Galaxy S5. Believe it or not, the latest leaks and rumors suggest that Samsung already has an S5 Mini in the works, and more to the point, Sammy also appears to also be working on both a Galaxy S5 Zoom and a Galaxy S5 Active spin-off. The first rumors suggesting that Samsung is developing a Galaxy S5 Zoom have surfaced back in January 2014, when the “standard” Galaxy S5 was still shrouded in a thick layer of mystery. Back then, not much has been revealed concerning Zoom’s possible hardware specifications, but fortunately, the leaks and rumors have not stopped there. Last month the Galaxy S5 Zoom has reportedly been spotted in the GFXBench database, and this time around certain hardware specifications were in tow. According to the leak, the SGS5 Zoom would hit the shelves boasting a Samsung Exynos 5 Hexa-core processor coupled with an ARM Mali-T624 GPU and 2 GB of RAM. The gadget takes advantage of 1.8 GB (2 GB) of RAM and 4.5 / 4.9 GB of storage, and appears to be featuring a 4.8 inch display with a resolution of 1280 x 720. More to the point, the S5 Zoom seems to pack a 19 MP main camera (5184 x 3888) with FHD (1920 x 1080) video recording capabilities, autofocus, touch focus and face detection. Surprisingly enough, HDR seemed to be missing, but this should be something that Samsung will change by the time the smartphone goes on sale. Last but not least, the Samsung Galaxy S5 Zoom appeared, at the time of the leak, to be running on Android 4.4.2 KitKat. Following this guest appearance in GFXBench, the Galaxy S5 Zoom has once again hit the blogosphere in full force, this time around in an alleged leaked picture, and boasting the nametag “Galaxy K Zoom.” The handset’s specifications have once again been the subject of debate, as rumors had it that the device could feature a quad-core CPU clocked at 1.6 GHz, instead of an Exynos chip. Earlier this month, however, the S5 “K” Zoom has been spotted in AnTuTu under the model number “SM-C115,″ boasting the aforementioned Exynos 5 Hexa chip, which was capable of scoring 33,252 points in the benchmark. To make things even more interesting, the same smartphone has been spotted at the FCC shortly after. While the exact hardware specifications of the Galaxy K (S5) Zoom are not yet set in stone, the existence of the device has fortunately been confirmed by none other than Samsung. The Korean tech giant has been sending out invites for an event which will be held on April 29, at the Red Dot Design Museum located in Singapore. The invites say “Kapture the moment,” which further confirms the idea that the S5 Zoom will be known as the “K,” and that what we’re about to see on the 29th day of the month is indeed a camera-centric device. Next in line is the Galaxy S5 Active, or the rugged version of the “regular” Galaxy S5. 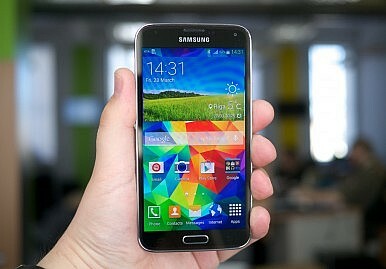 Yes, we’re aware of the fact that the Galaxy S5 already boasts dust and water resistance capabilities, but there have been a handful of reports indicating that Samsung might launch an “Active” version of the SGS5, boasting a higher IP rating than the standard model. While the Galaxy S5 Active’s specifications have not been mentioned thus far, if history is any indication, the smartphone in question should borrow plenty of hardware components from its standard counterpart. As for availability, no release time-frames have been mentioned by “industry insiders,” but we can safely assume that, if an S5 Active is in the works, the device will be released at a later date than the camera-centric K Zoom. This concludes the rumor and leak roundup for the Galaxy S5/K Zoom and the Active spin-offs. As usual, we encourage you to join us in the comments section with opinions and thoughts. Would you be interested in either one of these smartphones? If so, then what new features are you expecting from the Samsung Galaxy S5 Zoom and/or the Galaxy S5 Active? The Korean company is expected to release a more rugged version of its flagship. We take a look.